The Duchess of Cambridge's hair is many things, but a 'nightmare' it is not. On an unofficial trip to homeless charity Centrepoint, Prince William chatted with a trainee hairdresser called Angel as part of a speed mentoring session. He told the trainee that stylists dreaded working on Kate’s hair because it’s so ‘long and thick.’ A nice problem to have, if you ask us. ‘He was asking us all about Centrepoint – how we were doing with our course and all that sort of stuff,’ Angel said. ‘Then he suddenly asked whether I could help out with Kate’s hair, because it’s such a nightmare. I didn’t think he was being serious at first – I couldn’t believe it. ‘But then I realised he wasn’t joking. 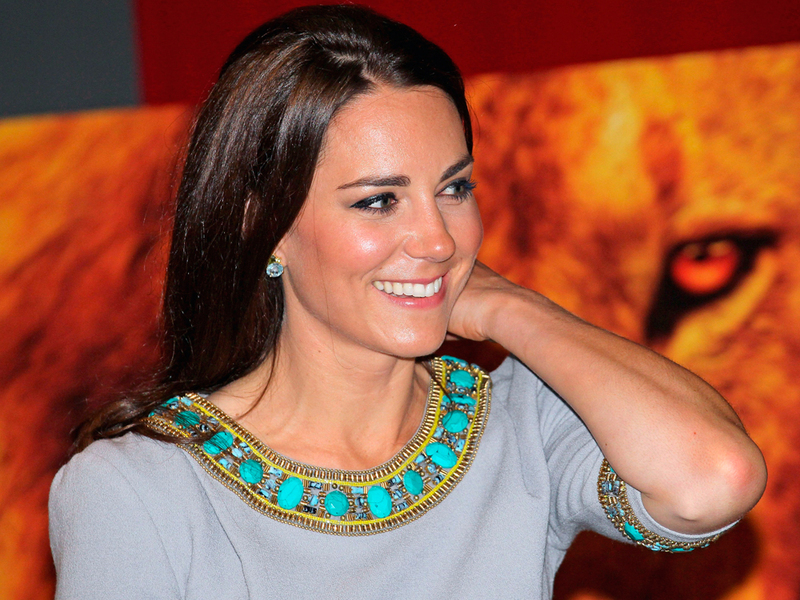 He said no one ever wanted to do Kate’s hair because it was so long and thick, and it was a bit of an issue. ‘So I laughed and said I’d love to help out. It would be amazing to do Kate’s hair, because it’s so flawless. ‘I was quite surprised, because to me her hair always looks perfect, like she doesn’t have to make any effort at all. But it obviously must take time to make it look so good. It would seem Kate’s regular hairdresser, Amanda Cook Tucker, is very patient woman. Respect. Scroll through the gallery above to see 13 times the Duchess of Cambridge’s hair was nothing short of glorious.